The Royal Canadian Mint is renowned worldwide for its invesment and collection products. Established in 1911, The Royal Canadian Mint produces some of the world’s finest bullion products: universal symbols of innovation, ingenuity and excellence. The weight, content and purity of the bullion coins represent the unrivaled quality of a Government-minted coin from the Royal Canadian Mint. As its name shows, this refinery is Canadian and owns several plants throughout the country. Incidentally, it is possible to visit the Ottawa and Winnipeg sites and discover all the secrets of these minting facilities. Since its creation in 1908, the company has developed with four values: Respect, Honesty, Passion and Pride. 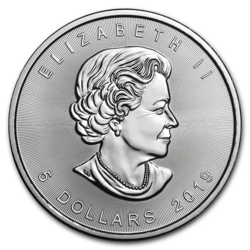 Drawing on more than 100 years of minting experience, the Mint operates one of the world’s most advanced gold and silver refineries and coin minting facilities—producing bars, wafers, grain and bullion coins, led by the Mint’s iconic Maple Leaf coin program. The gold and silver to be refined comes from diverse sources, including primary producers, industry, recyclers and financial institutions. The Royal Canadian Mint started to refine gold at 99.99% in the mid-1960s and, in 1982, was the first to produce investment grade coins of 99.9999% fineness. In 1998, the RCM put its mark for the first time on a numismatic gold coin of 99.99999% fineness, the highest recognized degree of purity. Its other investment products, such as bars, meet all conditions required by the market. RCM produces 2 types of gold bulion, gold coins and gold bars, including the classic 1kg bar, but also two larger versions, 300 and 500 oz. Smaller bars, from 1 to 5 ounces, are also available. 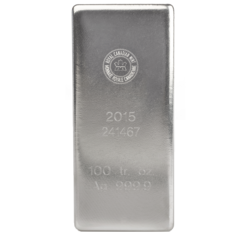 The same types of silver bars are available as well, along with the 1,000oz bar, a reference for investors. The reputation of the RCM also comes as a result of the quality of its coins, notably for one of them that has become a staple investment coin throughout the world: the Maple Leaf. This coin is struck with that classic Canadian symbol, and is of unparalleled quality. 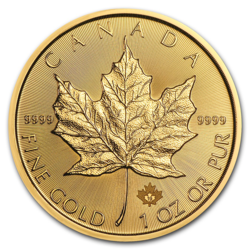 Note that the Maple Leaf gold coin is equipped with anti-counterfeiting technology consisting of imprinting a unique and verifiable security item in each investment coin. 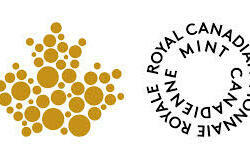 The Royal Canadian Mint recycles coins. For the institution, this constitutes an efficient, profitable and ecological way of putting coins back in circulation. The Royal Canadian Mint also offers counselling services to clients wishing to acquire refining or assaying installations, or to modernize existing installations. It owns a world-class assaying laboratory. With the strength of its experience and its efforts to acquire the very latest production technologies, the Royal Canadian Mint holds ISO-9001-2008 certification, which vouches for the respect of international standards in insurance and quality. The Mint’s bullion products are accepted by major precious metal exchanges—London, New York, Tokyo, Shanghai, Singapore—and have been on the London Bullion Market Association (LBMA) Gold Good Delivery List since 1919.